Welcome to the NOAA Carbon Cycle Greenhouse Gases group outreach website! 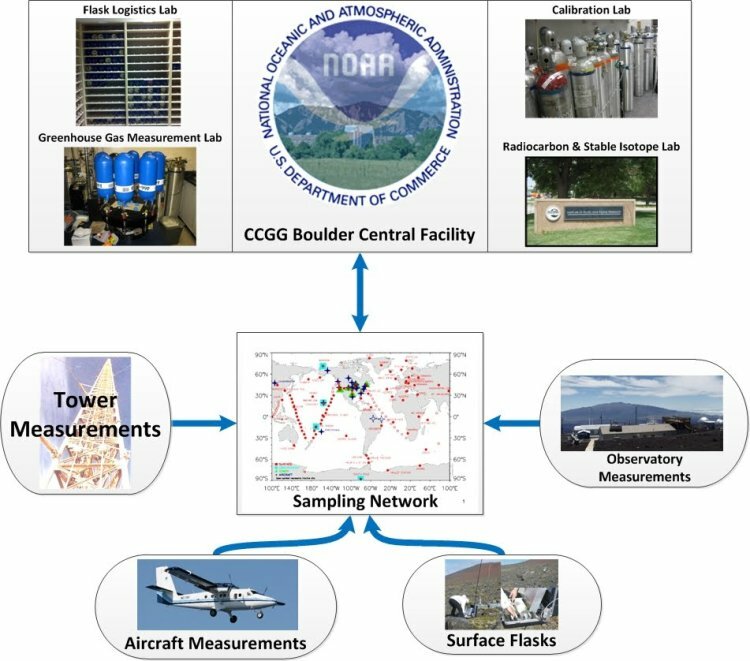 We are the world's central location for monitoring greenhouse gases worldwide, and we are in charge of running a global air sampling network that continues to monitor the air we breathe. Click on a section of the diagram below to learn more about what we do.